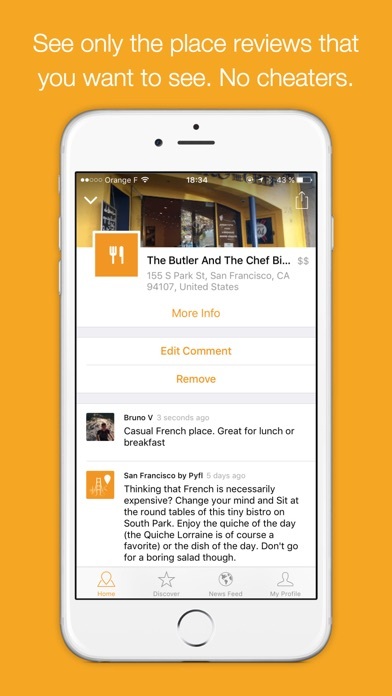 Create the map of your favorite places (restaurants, bars, cafés, brunch places, shops, parks…) and get recommendations from your friends' map. "If you’re ever looking for recommendations on somewhere to go, you’d likely trust someone you know over an anonymous reviewer." – Brit + Co "The app you need to find the best places to hang out wherever you are thanks to your friends recommendation." – App Store review Pyfl (Places Your Friends Like) gives you personal recommendations from people you trust, not random anonymous 5-star reviews. = Why we built Pyfl We like to go to places our friends suggested much more than to go to a place pushed by anonymous (and questionably trustworthy) sources. First, you know your friends and it's much easier to know why they suggest a place. You know their taste and you know if you trust their "best burger of the town" rating. It's a much more personal way of discovering new places. 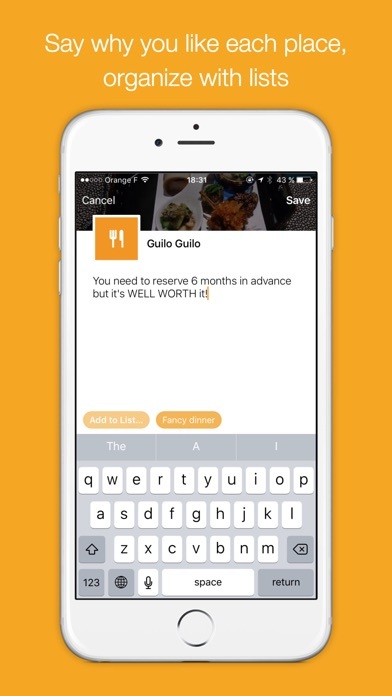 There is no "smart" algorithm in Pyfl that decides a restaurant is good for you. = How you can use Pyfl - Remember your favorite places - Find a place to go out tonight - Organize your places into lists - List the places you go to lunch to with colleagues - When traveling, get recommendations from friends who have already been there - Get recommendations from the magazines and brands you trust - Discover the most popular places in your group of friends. = How to use Pyfl - Sign up to create an account. We recommend the Facebook signup because it lets us show you your friends directly. If you don't connect with Facebook, you will need to manually find your friends. 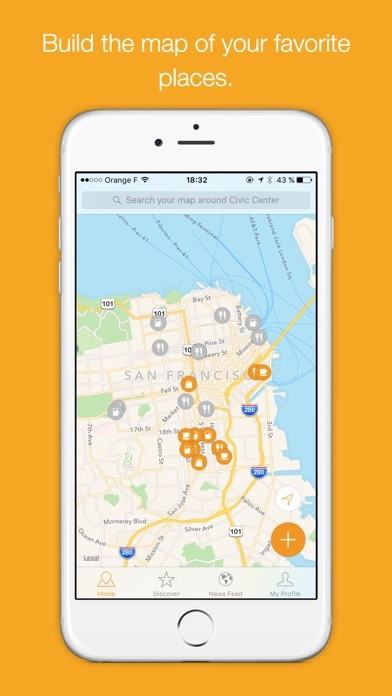 - Your map displays both your favorite places and your friends favorite places - Use the Add button to add places you like to your map - Use the Discover tab to find nearby recommendations from your network. 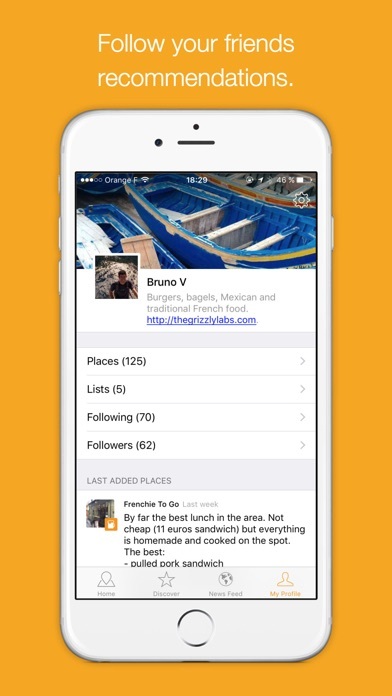 - Use the Search bar to find people and follow them. 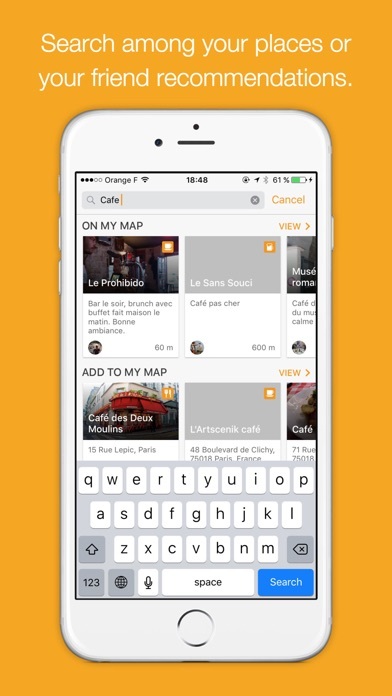 Feedback more than welcome at ios@pyflapp.com!